This is the ultimate height increase shoe insoles. First time user should use it with only the top layer shoe insole for a day or two before adding on 2nd and/or 3rd layer of shoe insoles. It is recommend with one or two size bigger shoe to optimize performance and comfort. 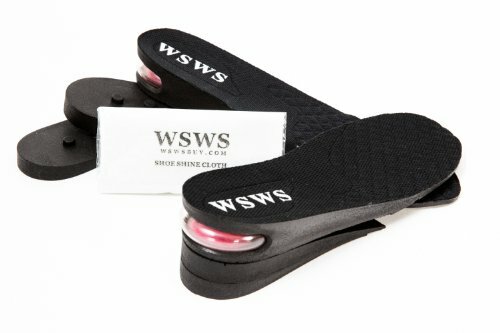 It also comes with one free WSWS shoe shine cloth. If you have any questions about this product by WSWS, contact us by completing and submitting the form below. If you are looking for a specif part number, please include it with your message.